My research to writing ratio is about 4:1, so I always learn a great deal from my writing efforts. 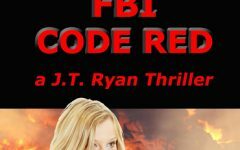 To my knowledge, this is the first political thriller to explore the deep well of dissatisfaction America’s citizens feel toward their government’s recent direction, as demonstrated in the 2016 election process. The late Vince Flynn, Brad Thor, Brad Taylor, David Baldacci, Ben Coes, Daniel Silva, and Alex Berenson are masters of the political/espionage thriller. I also admire Lee Child’s Jack Reacher series, the late Robert B. Parker’s Spenser series, and most of the late Elmore Leonard’s efforts. In each case, the writing is well-research and accurate, the dialogue is crisp, and the entertainment factor is A-1. 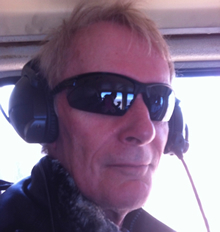 John Wayne Falbey writes techno-political spy thrillers and action/adventure novels. His debut novel, Sleeping Dogs: The Awakening, has become an international bestseller on Amazon.com and was endorsed by Compulsory Reads. He followed that up with Endangered Species, A Sleeping Dogs Thriller. 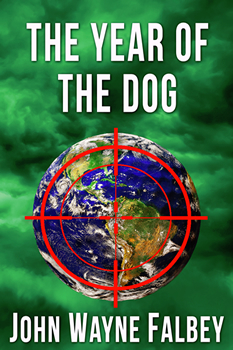 THE YEAR OF THE DOG is the third book in the series. The fourth book, Junkyard Dogs, is expected to be published by early 2017. He also is the author of The Quixotics, a tale of gunrunning, guerilla warfare, and treachery in the Caribbean. A native Floridian and former transactional attorney, Falbey is a real estate investor and developer in Southwest Florida. He invites you to visit him on his website, where you can sign up for his very infrequent newsletter announcing publication dates, appearances, and other matters relating to the Sleeping Dogs thrillers and his other novels.